A slick new script I recently wrote can slurp the entirety of my Pinboard account into an org-mode file, enabling me to really quickly scan through whatever I want by tag. (This is useful for heavily-populated tags, and it also generally makes importing data much easier for my purposes than cut-and-paste.) Testing it, I took a quick skim of a years-old backlog of things I had tagged as blogworthy. And so the title of a short Susannah Breslin piece from 2012 caught my eye. You're not good at it. It's too hard to monetize. Image by aldryano, via Pixabay (license). My initial reaction to the list was something like this: (A) Any or all of these -- especially the third -- are likely true for any given writer. Regarding the third, I see too many writers whose level of success most of us only aspire to ... giving courses on "how to be a writer" with the implied standard of success being that they make a living as writers. If that isn't proof that financial success as a writer is a pipe dream, I don't know what is; and (B) I enjoy writing, so I will keep doing it, anyway. But is that part about it being hard to monetize really true? Breslin's point is clearly to make us think about what it means to be a writer, and too many people never get past fantasizing about being one. Wouldn't it be great to hole up in a cabin somewhere and write the next Great American Novel? That sounds too much like a vacation, as do too many other popular conceptions about what it means to "be a writer." 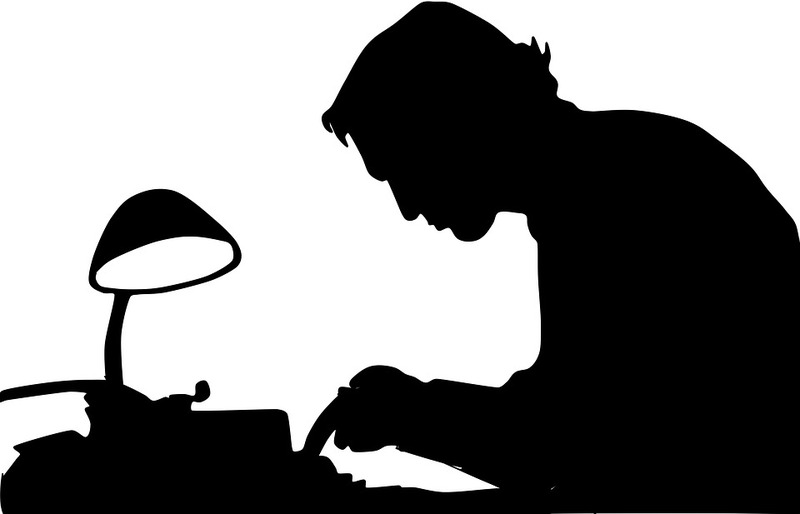 Writing decent material is hard, but the work neither begins nor ends there. Finding an audience is hard, and a paying one harder. Publicity is hard. And, yes, just sales of the writing will still unlikely be enough to replace a paying job. But if the process of producing content isn't a vacation, then making a living as a writer isn't winning the lottery. The lecturing writers and the folks whose work is related to their writing aren't really failing to support themselves as writers: They do so to greater or lesser degrees, depending on how well-integrated into their work life their writing is. To be "a writer" isn't some platonic status separate from the rest of existence. I hear that even J.K. Rowling, Ayn Rand, and Brandon Sanderson still had forgo writing to eat three meals a day, to sleep, or blow their noses even after they found success. And all had to deal with the nitty-gritty details of getting their works published and then publicizing it. Each had to take work in regular occupations to support their writing along the way. Writing, like many other activities (brewing beer comes to mind), can range anywhere from a hobby to a full-time occupation, but the latter involves many activities that aren't exactly holing up in a cabin somewhere to write -- not that that isn't work, anyway. Perhaps Breslin's point is something along the lines of, "If you think of writing as some combination of winning a lottery and going on a permanent vacation, look elsewhere."